These two have a love story like none other. From high school sweethearts, to the Greek power couple, to now engaged couple. I went to Ball State University with both Dave & Johnna and roomed with Johnna my senior year. I cannot tell you how much love these two have for each other. These photos can show you even more. 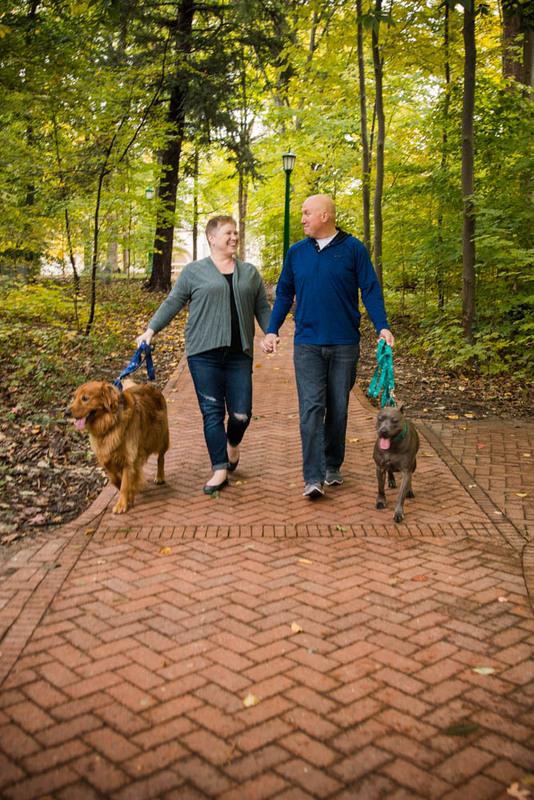 When I met Dave & Johnna, they were leaders in the Ball State community. They were loved by SO many and everyone referred to them as a “power couple.” They both were president’s of their greek affiliates - Johnna the president of Kappa Delta and Dave the president of Phi Sigma Kappa. They were involved in so many other activities and still had a way to make time for each other. When you are with them, you can easily tell by the way they look at each other and laugh together how much they love each other. Now I hope you can see it too when you look through these photos. Can I just say that when I was editing these photos I got a lot of strange looks at the coffee shop because I was smiling ear to ear! 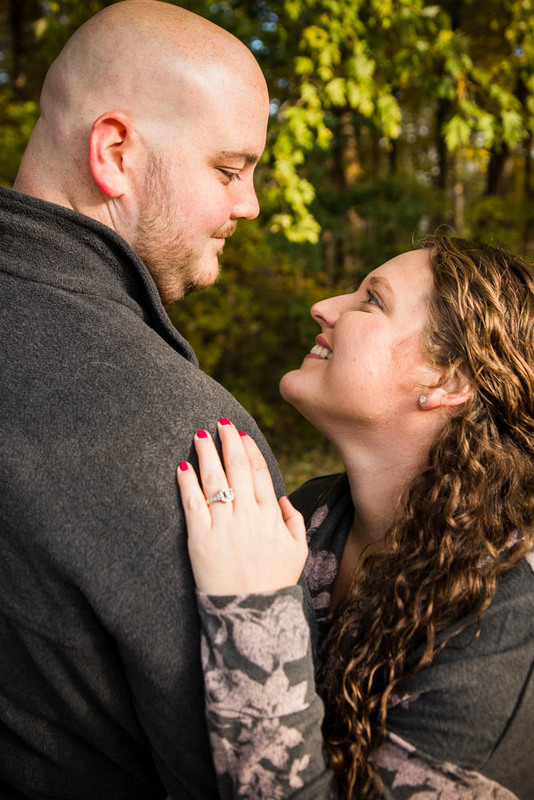 This was such a fun session and I am so glad I was able to do this for Jenise & Scott. Some of my favorite sessions are when fur children are incorporated. This one was no different. Jenise is my boss at a local orthopedic office and I was ecstatic when she asked me to do her photos. I immediately started coming up with ideas for couples and dogs because I know how much she is obsessed with hers. Kevin and Frank are her bundles of joy and you can totally tell why. They have the most infectious smiles and I am pretty sure if we weren’t taking a bunch of photos, I would be cuddling them. 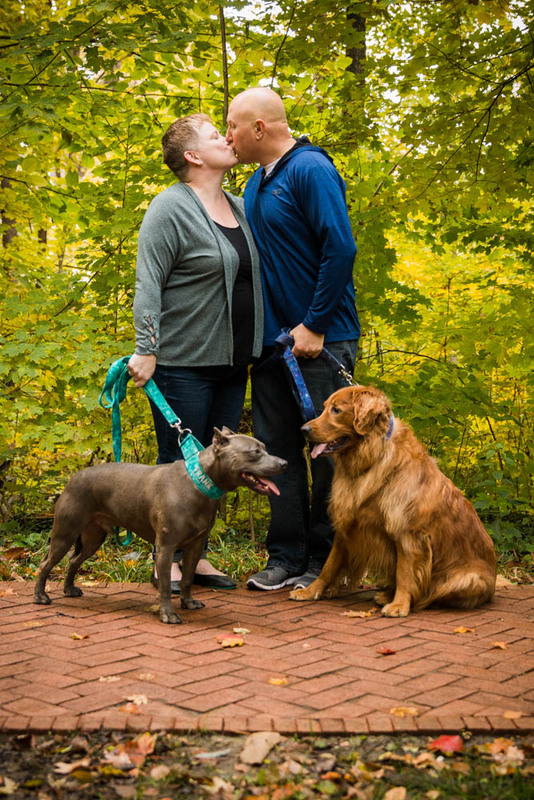 Kevin is Jenise and Scott’s Golden Retriever and Frank is their Pit Bull. I hope you smile through these as much as I did. Enjoy! Let me just start out by saying that these two were so awesome at their session. There posing and emotion was just so natural I almost didn’t have to direct them to do anything. When I asked if they practiced, Cory responded with “We watch a lot of America’s Next Top Model.” It definitely showed. A little backstory - I knew Cory in high school. As a matter a fact, he was physics lab partner and my junior year prom date (about 8 years ago). I will spare you the photos for now because even though we were an awesome prom date group, we may look a little different (Cory had a lot more hair and I had a lot less - I had to wear extensions that night and it did NOT look good). 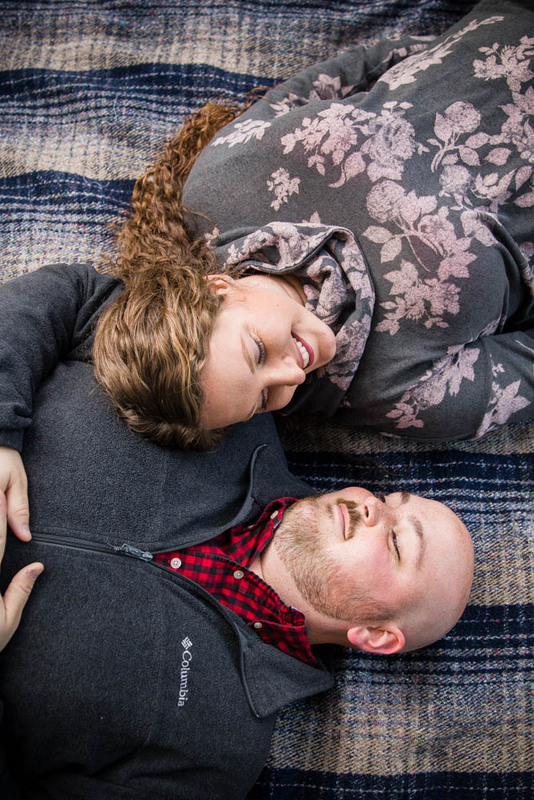 So, I was pretty honored when he reached out to me for his engagement photos. During this session, you could totally see how much they loved each other. I hope you can see it too the way they look at each other. There is nothing that makes me happier during a session than knowing I can capture that love and have it transcend through the photos. I wish you both the best! Enjoy this little collage of my favorite photos from their session.